The run-in to the Test series has arrived with indecent haste. The All Blacks, with an ominously powerful selection, play Samoa in Auckland tomorrow morning. The Bookies have Samoa at +37. One of the things I found out first hand from the Kiwis is that they don't hold anything back and they are not afraid of showing to anybody what they're planning on doing. That game tomorrow will be full-on, as indeed will the Lions' match-up against the Maori All Blacks on Saturday. I have a feeling that the Lions may just shade this one, but I suspect that their midweek side may get a fearful thumping in Hamilton against the Waikato Chiefs. It is now a game of poker. I think Warren Gatland is pretty good at this. Holding a good hand is one thing but playing a poor hand well is another and Gatland, as we Irish have found out to our regret, isn't bad at the latter - often, he has either bluffed us or out-thought us around the table and seen us off the premises when we all thought we were holding a better hand. Nobody can say with any certainty how any particular phase of the game will go because every phase changes from game to game. On Tuesday, the Otago Highlanders beat the Lions on the back of a concerted scrummaging effort. They were by no means outstanding in this phase of the game but they were able to pick and choose their moment and mentally they ramped up their effort when they needed to. Everybody talks about that big scrum in the last five minutes. From the Lions perspective, it was a mental aberration as opposed to any terminal scrummaging deficiency. It is worth noting that when the Crusaders pipped the Highlanders in the South Island derby in Super Rugby recently, the Canterbury men squeezed the Otago side to death in this phase. The Crusaders were the victims of larceny in the Lions game when referee Mathieu Raynal awarded four scrum penalties against them when they had a vastly superior scrum in that match. The Lions Test XV will go in to any match buttressed by the fact that they know they can match the All Black intensity in this area - or can they? One of the things that the Lions have done so far in this tour is get their starting fat boys off the park quickly; you will see the trend continue as the business end approaches. Most front-rows now are subbed off between 48 and 50 minutes, irrespective of how well or how badly they are playing. This is probably done for a variety of reasons. Firstly, getting caught late in the game in the wide channels against any of these smoking-hot New Zealand runners in a mis-match isn't going to be let happen by the Lions management. When front-row players are asked to do a lot of the tight tackling in and around the ruck, the brutish physicality and the burn of energy levels is severe. You simply can't keep this up for 80 minutes. I am not certain that the Lions can be comfortable on their own scrum ball in any of the Test matches. I think they will be far more comfortable at lineout time, but what is certain is that they struggled with the pace of the game in Dunedin, and that scrum was symptomatic of that. Just like in the Auckland Blues game, when they had an opportunity to rescue the match and eke out an unlikely win, mentally they weren't sharp enough - this was due to the fact that the game had run the legs out of all the men in red. The Lions were unable to stay with it in a game of high tempo; surprisingly, they tried to engage, which suited the Highlanders down to the ground. This on the back of the fact that the Highlanders were missing Ben and Aaron Smith, they had three injured All Blacks out of the side and seven starters called up to the Maoris. The Maoris will play at 200kph on Saturday, and the Chiefs most definitely will do it the following Tuesday. Against the Highlanders, introduction of Greg Laidlaw really did take the fizz out of the Lions' effort. The Clermont-bound scrum-half is a handy player for Scotland but he is a million miles away from being a Lions Test No 9, and Wazza's series chances fully revolve around having Conor Murray and Owen Farrell fit and playing well. Gatland has made a couple of ballsy selection decisions in his time but generally he has got it right - nerve and instinct. 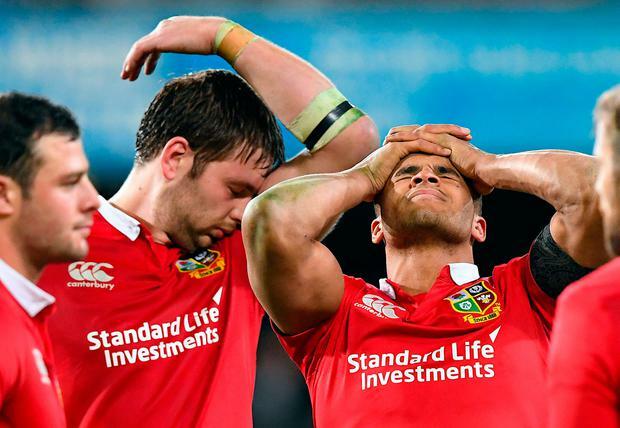 There were 10 Welshmen selected in the Lions against Australia four years ago, and this theme is not going to change. The team I think Gatland will go with for the first Test (see Panel) is made up of seven Welshmen, five Englishmen and three Irishmen. Not a kilt in sight. We will have to nickname Wazza 'Dorothy' - there is no place like home! The bench will be a political compromise. 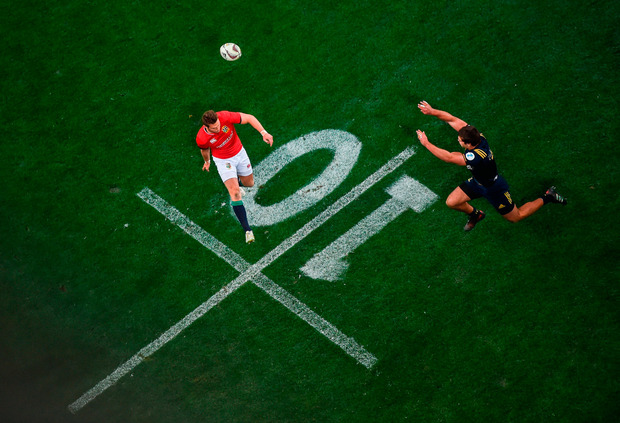 I think Gatland will go for Owen Farrell over Jonathan Sexton because he wants the Englishman as his out-half, not in midfield, and I think he wants to play Ben Te'o at No 12, and more importantly Jonathan Davies at outside-centre. Davies was the form centre coming into the tour and Gatland rates him highly; if he has passed his HIA protocols, he will be in the side. Gatland will also without doubt pick the tour captain on the flank in the Test series. As we saw in the Crusaders game, the Wales coach will try to shut things down, neutralise the All Black offensive effort and play kick-chase all day. Many might see this in rugby terms as a form of moral turpitude but it is his only chance. Leigh Halfpenny has not looked remotely convincing defensively but if he gets a chance against the Maoris, Gatland will pick him. This will be a kicking series, and how the respective back threes deal with kick-chase and counter-attacking opportunities in matches of very few clear-cut opportunities will shave it. The Lions have a chance in the first Test - not a good one - but anything can happen when you sit down at the poker table.